A formerly homeless veteran from Las Vegas was invited to sit in first lady Michelle Obama's visitor box during the State of the Union address. The speech was on Jan. 12. 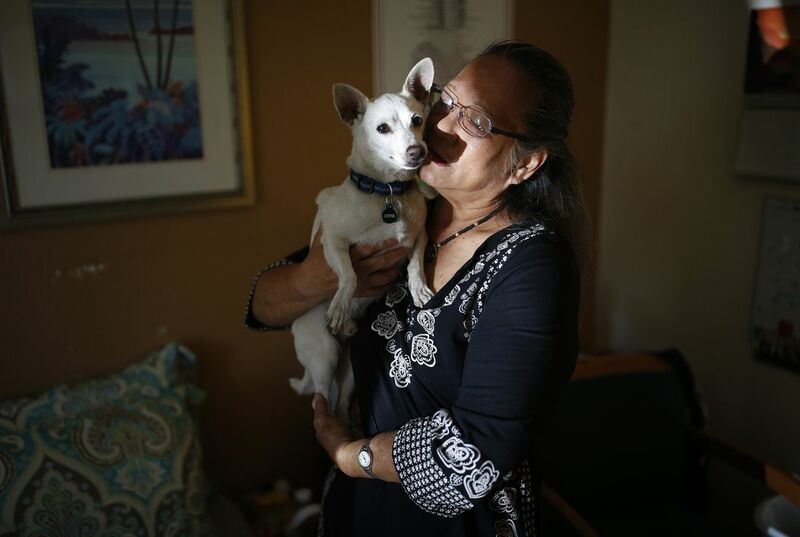 Cynthia Dias, 64, served during the Vietnam War on a hospital ship as a registered nurse. She attributed her years of homelessness to post-traumatic stress disorder. About a year ago, Dias says, she was able to move from a homeless shelter for women and children into a former motel in downtown Las Vegas. It was renovated through private donations to provide 122 units of housing for veterans. While staying in Veterans Village, residents like Dias get access to health care, job training and counseling. The Obama administration is highlighting a challenge that the first lady and Jill Biden, the vice president's wife, issued for local leaders to do more to end veteran homelessness in 2015. Las Vegas responded to the call. City leaders say they have enough services and programs in place to house every homeless veteran. Dias said she's in shock from Mrs. Obama's invitation and hopes people will think about her survival when they see her. "I survived and I'm thriving here at Veterans Village," Dias said. "For me, it's been a heaven-sent gift to be among other veterans who are suffering from PTSD," she said. "The camaraderie that veterans have for one another, it's better medication than the anti-depressants." The founder of Veterans Village is Arnold Stalk. He said it's important to get veterans off the street first and into a stable environment. Once that happens, it's easier to provide the health care and other support they'll need to live in a home permanently. Dias was to join two other Obama guests. They are supporters who the president says provided early inspiration to his campaign. Edith Childs, of Greenwood, South Carolina, met Obama at a rally in her state in June 2007. Obama credits her with coining the "Fired up! Ready to go!" call-and-response. It became a rallying cry for both of his White House bids. Another guest was Earl Smith. He was head of security at an Austin hotel when he met Obama in February 2008. He gave Obama a military patch he had carried with him for 40 years. Obama carried it with him for the rest of the campaign. Why did Mrs. Obama invite the vet instead of someone more famous? I believe she invited the veteran to show that you don't have be famous to be important. Mrs. Obama invited the vet instead of someone more famous because the president says that she "provided early inspiration to his campaign". I think that it is very kind that Mrs. Obama would give such a kind gesture to someone so often overlooked. Mrs. Obama decided to invite the vet instead of someone more famous, because she Jill Biden want to end veteran homelessness. "The Obama administration is highlighting a challenge that the first lady and Jill Biden, the vice president's wife, issued for local leaders to do more to end veteran homelessness in 2015." I found this article very interesting to understand how many vets and heroes for the U.S. can be in desperate situations. Mrs. Obama invited the vet instead of someone much more famous because she wanted to raise awareness to all people to end, "Veteran Homeless in 2015." She did this because she wants people to know how much and how many people are struggling with post-traumatic stress disorder after serving for our country. I personally think that it was very kind, generous and thoughtful of the first lady to do something like this at such a big and important event. I think she really wants to raise awareness to this situation and she really made a good message about it by inviting someone that used to suffer post-traumatic stress. Mrs. Obama invited the vet instead of someone famous because it was the right thing to do. The vet deserved to be recognized for her hard work. 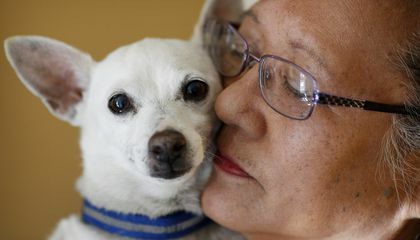 "Cynthia Diaz, 64, served during the Vietnam war on a hospital ship as registered nurse. She attributed her years of homelessness to post dramatic stress disorder." This shows that she worked hard for her country and suffered through homelessness and PTSD, making her deserving of the seat next to Mrs. Obama. I liked this article because a woman worked hard for her country and deserved something in return. Mrs. Obama invited the vet instead of someone more famous because Mrs. Obama stated,"For me, it's been a heaven-sent gift to be among other veterans who are suffering from PTSD," She also stated "The camaraderie that veterans have for one another, it's better medication than the anti-depressants." Quote was very inspiring to me because even with all that the veterans have been through they are always cheerful and sportful of one another. I chose this article because I am aspire to veterans who have made my life better and fought for our country. Mrs. Obama invited the vet instead of someone more famous because she wanted Cynthia Dias to represent every other homeless veteran throughout the country. In the article, it says "Dias said she's in shock from Mrs. Obama's invitation and hopes people will think about her survival when they see her." This shows that Dias wants the world to know her story and what she's been through and hopes it will inspire other people like herself to get the help they need. Dias suffers from PTSD and is recovering. She is glad that she could attend the State of the Union and hopes that it will bring more awareness to people like herself. I think that it was very nice and thoughtful for Mrs. Obama to invite Cynthia Dias to the speech and I hope that she inspired many people. I think Mrs. Obama invited a once homeless veteran to show the progress they have made and raise awareness to end veteran homelessness. It also inspires and makes people help appreciate and understand veteran homelessness. I found this article interesting because of Mrs. Obama's choice of guest. I would have expected someone else. Michelle invited her because of what type of person she is. The fame of the person apparently did not matter that much to her. The fact that she was once homeless shows that we should do more to help our veterans. The vet was a war veteran who was a nurse who then sadly went homeless after the war while having PTSD or post traumatic stress disorder. Mrs. Obama choose to invite her into her First lady press box at the State of the Union speech. This article interested me because i wanted to know if people were doing things for the solders.